The beautiful city of Portland is easily accessible by plane, car and ships through the mouth of the Columbia from the Pacific Ocean. One of the major gateway into the city is Portland International Airport. Over 15 million passengers use the airport annually to connect to their destinations with relative ease. It is one of the world’s busiest airport and has recently been renovated to meet with the quality of other highly rated airports in the country. All through 2006 to 2010, it was named the best airport for business travelers in the United Stated by Condé Nast Traveler magazine. Voted the best airport in 2013 and 2014 in the United States by Travel+ Leisure, Portland International Airport offers an easy light rail connection to the city center including several facilities such as restaurants, café, free Wi-Fi and tax free shopping. The airport offers over 210 flights daily and is served by over 14 domestic and international airlines. Travelers can find non-stop flights to major destinations around the world including Canada, London, Paris, Amsterdam, Frankfurt, Mexico, Reykjavik and many more. Located few miles from the city center, Portland International Airport is also a joint civil-military airport and Oregon’s largest airport. The airport’s main terminal is made up of one building and is divided into concourse, A, B, C, D, and E. With the availability of several transportation options including taxis, light rail, buses, car rental, travelers can get to their final destination within the city with perfect ease. Check available cheap flights to Portland now. If you are looking for clear skies, the perfect time of the year to visit Portland is from July – September. During these summer months, temperatures are mild, the days are long and dry, and there are lots of outdoor events running as well. This is the perfect time to enjoy hiking. For a chance to experience some of the lovely events and festivals in the city such as Time-Based Art Festival, Feast Portland and MusicfestNW, you should consider visiting during summer. Expect to see a large number of people visiting the city at this time. Search for cheap domestic flights to USA. cheap flights to Portland now. Mobissimo has multiple ways to help travelers find cheap flights to Portland(US). You can subscribe to our weekly cheap flights and deals newsletter which includes great deals on cheap flights. We provide an Airfare Index that you can subscribe to on our front page which will alert you to the cheapest flights to Portland(US) via RSS. When your search on Mobissimo is finished we provide a recommendation box with dates when the flight to Portland(US) is the cheapest. 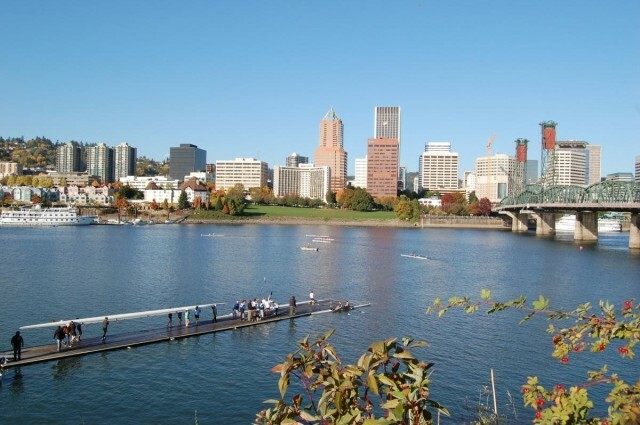 There's our Facebook page where you can connect to people who are looking for great deals to Portland(US) and where we also post cheap flight deals regularly. Our blog provides highlights of sales on flights on major carriers. We also have a flights deals page that is updated daily. If you're looking for cheap domestic and international flights to Portland(US), USA , it helps to be flexible with your travel dates. Being able to leave on a Thursday or come back on Monday, and taking early morning flights, will help you find cheaper flights than the busy and popular early evening flights and late afternoon flights for Portland(US). Searching during the travel off season for Portland(US) will also help you find the best fares. Keep in mind to search for the cheapest flights to nearby cities airports. Mobissimo is the ultimate travel search engine for all USA destinations.